What is the Rabika Grid? Rabika News and Updates Sign-up now! 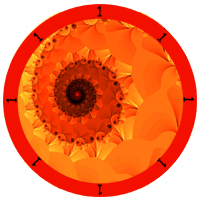 Unlike other divination systems, Rabika is firmly rooted in present time. Rather than extrapolating from the past to ‘divine’ the future, Rabika illuminates the energies surrounding and affecting a situation in your life right now. Make possible a quantum leap of personal consciousness. Give you better control of your emotional state of mind. Help you develop a positive attitude. Give you greater empowerment over your future outcomes. In all cases, Rabika points back to the present time to find the solutions and information relevant to you. When Rabika presents a possible ‘future’ it also presents a greater understanding of why the future is heading in that direction. Why does Rabika do this? Because you want to make intelligent and informed decisions about how you conduct your life. And as the creator of your life, you only have the present energies to work with. Nothing in your past can help you manifest desired outcomes, and nothing about the future is set in stone. You can affect any situation, but only if you are armed with the knowledge of now and the understanding of where to take creative action. In addition to all of this, all Rabika Conscious Tools are linked to the Rabika Grid, a powerful allegiance of beings and energies that can help you make a quantum leap in personal consciousness. Go here to learn more about the Rabika Grid.